Any foreign student admitted to Skolkovo will be able to apply for financial aid from Prodigy Finance. Starting September 2011, getting funding will be easier for foreign students attending the Moscow School of Management Skolkovo, said school representatives. They will be assisted by the newly-established British company, Prodigy Finance, which was founded in 2006 by three graduates of one of the best European business schools – INSEAD. Now, any foreign student admitted to Skolkovo will be able to apply for financial aid from Prodigy Finance. In case they are approved, the funds will be transferred directly into the school’s account, said representatives of Skolkovo and Prodigy Finance. Prodigy Finance founders, South African Cameron Stevens and Ryan Steele, and Slovenian Miha Zerko, are calling their business model revolutionary. Before its appearance, many foreign students at the leading European business schools, especially those from developing countries, have experienced many difficulties in searching for funding. Both local and international banks are reluctant to provide study abroad loans, says Stevens. Traditional banks link a student’s ability to repay a loan with his place of residence and work, he says. But, MBA students often not only study, but also find employment abroad, which makes things more complicated for the banks. Moreover, in international banks, representatives of, say, an office in London have a hard time agreeing with representatives of the same bank’s branch in South Africa, he explains. Could banks be avoided altogether, asked the founders of Prodigy Finance. It turns out, they can. Money, for the expenses of current students of prestigious MBA programs, was found from their graduates. INSEAD graduates have a good understanding of the school itself, as well as the career opportunities which it opens to students and, therefore, have a much more adequate assessment of the risks of default, says Stevens. For each of the business schools, Prodigy is issuing bonds, which are bought by investors (graduates, and other members of the business school community), and the money is directed toward financing of the current students. Six months after completing their education, recent graduates start repaying the loan, says Stevens. In the case of Skolkovo, bonds will be issued in September of 2011 for the amount that will be needed by students. 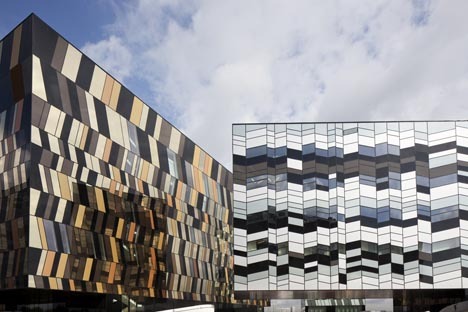 According to Stevens’ estimates, foreign students at Skolkovo may need about €1 million. Skolkovo and Prodigy already have the bonds for this amount from the investors. If the students’ needs exceed this amount, the number of investors will be increased, he said. Investors’ names are not being disclosed in Skolkovo or in Prodigy Finance. All foreign students at Skolkovo can count on the loans from Prodigy, says Vladimir Ismailov, CFO at the Moscow School of Management Skolkovo. About a third of the September 2010 class is eligible. Ismailov hopes to maintain the same ratio in the future. In 2011, however, the school expects to admit twice as many students: instead of one class, there will be two, totaling about 90 people, he said. The loans will cover up to 100% of the tuition fees, but Skolkovo believes it would be more appropriate for students to cover at least a portion of the cost. Statistically, student loan defaults in some of the best global business schools – are extremely rare, and happen in about 0.5% of all cases. The financial model, used by Skolkovo and Prodigy Finance, assumes a higher figure of 4%, he says. A student’s career choices following graduation will not have much impact on his credit worthiness; even those graduates, who decide to become entrepreneurs, are able to fairly quickly find funding for their projects and start repaying their loans, says Stevens. But for graduates, who need more time to secure funding or find a job, Prodigy Finance is willing to offer a three-month deferral, he said.